Strong steel support for easy maneuverability of utility, boat, cargo, jet-ski and other trailers. Stop struggling to move your trailers by hand. 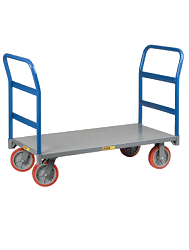 Trailers dollies can save your back from injury and make life easier.